Awhile back Humble Bundle had what I thought was a bargain of a bundle when it was offering game creation software Multimedia Fusion 2 along with a bunch of games created with it. When I dug around a bit for information on Multimedia Fusion 2 I discovered that I actually used one of its early predecessors known as Klik & Play which was released in 1994. 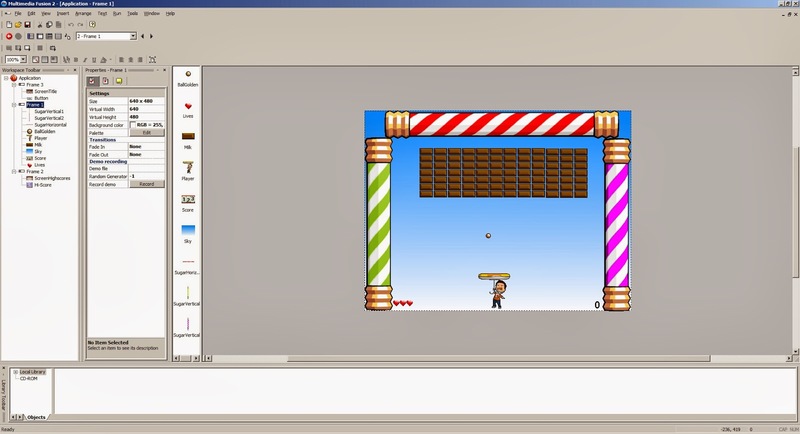 I remember that tool as being rather rudimentary but useful if wanting to create platform games or any kind of arcade/action games as it had a simple interface for specifying what happens during collisions of certain objects. I also discovered that Multimedia Fusion 2 isn't the most recent game creation software from developers Clickteam (there's always a catch :)). The most recent is Clickteam Fusion 2.5 and not only that but it seems that you can purchase optional export modules that allow you to export your code into mobile format (e.g. iOS, Android, etc.). I've had a quick dabble with Multimedia Fusion 2 (mainly the tutorial), checked out some of the games developed by it and had a look at some of their community help pages. This is what I've gathered. Quick and easy to make basic games: I spent a couple of hours with the tutorial and that was all I needed to get a basic Breakout clone working. True, all the art and audio assets were already there for me to use but you can still make a basic game very quickly. Price: I got it really cheap as part of the Humble Bundle although there's probably a reason for that as it doesn't appear to be on sale anymore at the Clickteam web store. Potential for many genres of games: The Humble Bundle contained a lot of MMF2 games. While most are platformers there was a card game and even a 4x strategy game in there (albeit a basic one). MMF2 games have already been sold on Steam: This means it's possible to make a commercial game using MMF2. However the only MMF2 game I've heard of before buying this bundle was Faerie Solitaire so I'm not sure how commercially successful the games are. Not the most recent game creator: This software has already been superseded by Clickteam Fusion 2.5 which costs $100 on Steam. Expensive to continue development: If you want to export games into iOS it's going to cost you $150. Want it on Android? You'll have to pay for that to. Might be difficult to make a large game: The game appears to use the concept of frames in order to create the game. That's fine if your game only has a few frames or scenes or has a central frame where most gameplay occurs, but I'm not sure how it would fare with a game that contains more than 100 frames or 1,000. Might not be an issue but something for me to keep an eye on. Looks to be for Windows games only: It's not quite clear on the Clickteam website since it does advertise the fact that you can get export modules for Multimedia Fusion 2 but when you click on the links the pages only refer to Clickteam Fusion 2.5. Oh and as previously mentioned, you have to pay extra for it anyway, even if it does work for Multimedia Fusion 2. 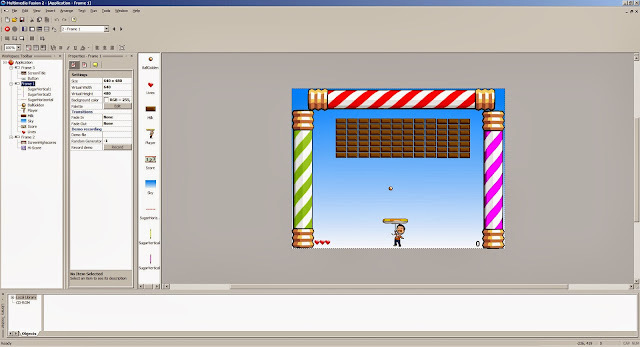 Multimedia Fusion 2 I can definitely see as a handy tool to make small, action/arcade indie games for Windows quickly. You can even make hidden object adventure games (apparently). In terms of other genres and platforms though, it might start to become prohibitively expensive (with respect to time or effort), unless you're really sure you've got a hit on your hands.